Learn why LASIK candidates decide to meet with Dr. Robert Wlodek of Optical Effects Vision Center before entering the local laser vision centers. A LASIK consultation with an optometrist like Dr. Wlodek can provide a wealth of information about what to expect in a LASIK procedure. 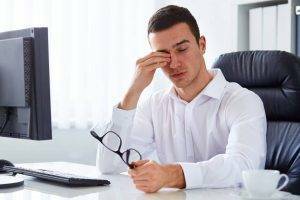 In your office, do you perform any diagnostic testing for LASIK candidacy? In the pre-op exams, we’re going to dilate a LASIK candidate’s pupils and check their prescription under dilation. This is what we call a cycloplegic refraction. Plus, we check the retina to make sure it looks healthy, signs of dry eyes, and any possible condition that could be a problem for LASIK candidacy. We also want to treat any issues before we send a patient to the surgical center. Do patients receive a thorough eye exam? In other words, does more time at an eye health evaluation avoid being rushed into a LASIK and reduce the risk of eye complications? We send all patient information directly to the LASIK surgeon to start with. We make sure a patient will be ready to go. If a patient were to just go to the surgeon by themselves without a real pre-op exam, the surgical center basically may turn around and say, “Oh, we’re going to need to treat the dry eye first, or we need to get a retinal consult.” I can treat all that and provide the information upfront beforehand, so LASIK patients don’t waste time. Do patients get billed more at a surgical center when visiting an opthamologist? That depends on the surgical center, but often those places will require a payment up front for a pre-op exam. That money would be applied towards the cost of the LASIK surgery if they go ahead and do it. But if they don’t do it, then you’re out of that money. While I do some of those procedures as well, it’s more of a regular eye exam rather than a pre-op exam. We do a lot more work in addition to a pre-op exam. Plus, if a patient decides to undergo the LASIK procedure, sometimes I can co-manage the fees and even refund the money. So, LASIK surgeons that you work with will cover your co-management fees? Correct. They may reimburse me to perform those tests, but only after they’ve performed the LASIK surgery. For every patient, there’s a commitment on their part. It helps to weed out the patients who were only thinking about having LASIK, but then never do it. A lot of people ask about LASIK yet never really pursue it. Or, patients consider the following year when they collected their funds together. Whenever a LASIK candidate is serious about LASIK, that’s where I sit down and have a conversation with them. Do patients have options for financing? Do patients use CareCredit? Yes, CareCredit is always an option. You can have LASIK and pay off the costs as a monthly bill. So, even if you’re low on cash, CareCredit can allow you to have LASIK surgery. What’s involved in LASIK co-management? We have a pre-op exam. Then, the LASIK surgeon will always see them one-day post-op or after the surgery. I usually like to see them, as well, about a week after. We want to review the medications that they’re on at that point. Then, we usually set a 1 month follow-up, 3 months, and then 6 months. Finally, we’re off to the standard yearly cycle at that point.